Jube is a commercial building (called 裕冰坊 in Chinese) is situated at 2 Jurong East Central S609731, in district 22. It is the one of the trendiest suburban malls occupying the land of the previous Jurong Entertainment Centre. Jcube is opened on 2 April 2012. This elegant six storey building has about 210,000 sqft of retail space. Jcube is owned by CapitaMall Trust and is managed by CapitaMall Asias which is a leading shopping malls developer in Asia. Jcube’s unique ice cube concept is designed by the world renowned Benoy who also designed ION Orchard. 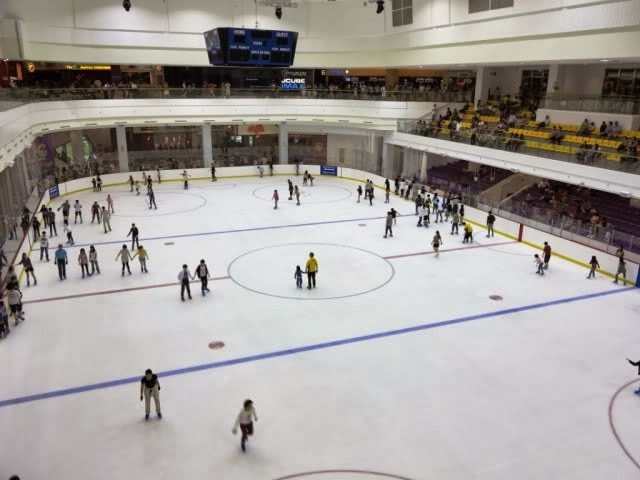 Jcube has an olympic size Ice rink with a total of 460 gallery seats. It also has IMAX theatre by Shaw theatres which is a first in suburbs areas. Major tenant like Franc Franc is a famous Japanese home and living store which set up its first South-east Asia outlet here in Jcube. Other F&B tenants include Eat at Taipei for those who miss Taiwan night market goodies, Italian F&B concept Capricciosa which serves authentic delicious Italian food and Nana's Green Tea Café which comes from Japan serves a wide range of Matcha green tea beverages. Jcube customer service is located at level 1. The operating hours is from 10 am to 930 pm to aid customers. You can contact them at 6684 2153.The car parks are at basement 2 &3. 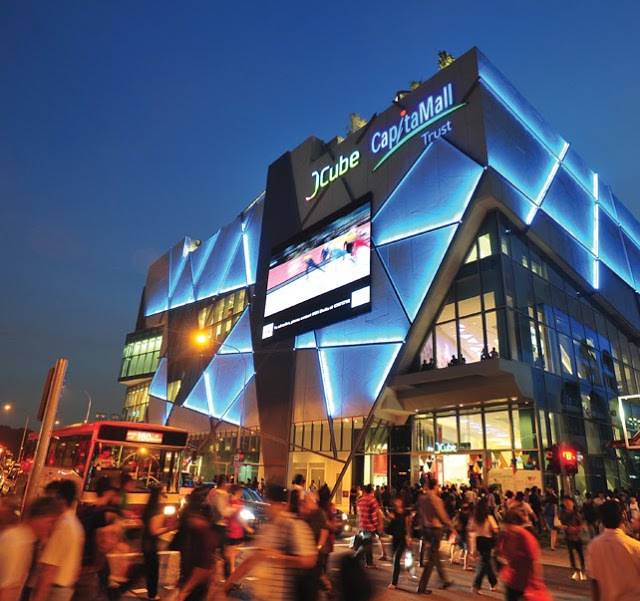 Jcube is directly opposite Jurong East Mrt station and Jurong East interchange. Other nearby MRT stations are Clementi and Chinese Garden stations. There are also several bus services available at the bus interchange. For vehicle owners, you should exit 27 on PIE and Exit 11 on AYE. If you are driving from here to the Central Business District will take you about 15-20 minutes. Major expressways such as AYE and PIE allow drivers easy access to any part of Singapore.